Mommy Kristal and Daddy Andrew threw an adorable Pocoyo-themed bash for their 3 year old son, Grant and for the Christening of their months-old daughter, Arya. 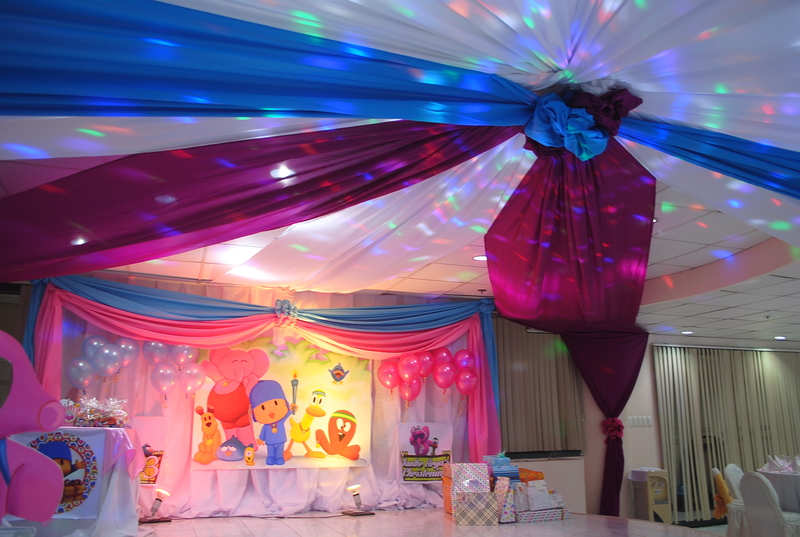 Just the perfect theme for a joint baby boy and baby girl celebration, PREP dressed up the venue in shades of sky blue and pink, flagship colors of the cartoon’s main characters, Pocoyo and Elly the Elephant. The party was made more fun with live entertainment, bubble show, games, a candy buffet with chocofountain and a popcorn station, and unlimited ice cream by Superscoop. CLICK THIS LINK for more photos of the this party by PREP.